Prime Minister Narendra Modi on Tuesday night left for a two-day visit to Singapore during which he will attend the East Asia Summit, an ASEAN-India informal meet, the Regional Comprehensive Economic Partnership summit and hold a bilateral meeting with US Vice President Mike Pence. 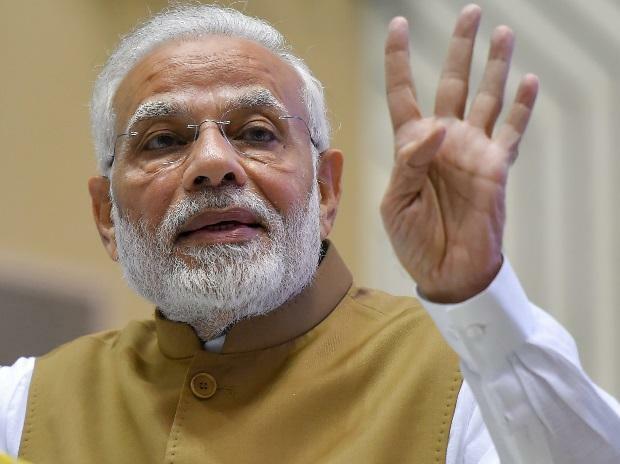 Modi will reach Singapore on Wednesday morning for his 36-hour visit to the city-state and his first engagement after arrival will be to deliver the keynote address at the Singapore Fintech Summit. "Continued focus on 'Act East Policy'. PM @narendramodi emplanes for Singapore to attend 13th #EastAsiaSummit, ASEAN-India Breakfast Summit & #RCEP Summit. PM will also have bilateral meetings on the sidelines and deliver the keynote address at the Singapore FinTech Festival (sic)," Ministry of External Affairs Spokesperson Raveesh Kumar tweeted. The PM said his participation in the ASEAN-India and East Asia summits symbolised India's "continued commitment" to strengthen its engagement with ASEAN members and with the wider Indo-Pacific region. "My participation in these meetings symbolises our continued commitment to strengthening our engagement with ASEAN member states and with the wider Indo-Pacific region. I am looking forward to my interactions with other ASEAN and East Asia Summit leaders," Modi said in his departure statement issued Tuesday. "On Wednesday, I will be the first head of government to deliver the Keynote address at the Singapore Fintech Festival," he said. Modi said as the world's largest event on financial technology, the festival was the right forum not only to showcase India's strengths in this fast-growing sector, but also to forge global partnerships for fostering innovation and growth. The PM said during the visit, he would also have the opportunity to interact with the participants and winners of the joint India-Singapore Hackathon. "It is my firm belief that if we provide the right encouragement and a nurturing ecosystem, our youth have the ability to become global leaders in providing solutions to the challenges facing humanity," he said. "As I depart for Singapore, I would like to extend my heartiest congratulations to Singapore for their able chairmanship of ASEAN this year, and convey my best wishes for all success in hosting ASEAN and related summits," he said. On the margins of these summits, the prime minister would hold bilateral meetings with other leaders. He would hold a bilateral meeting with US Vice President Mike Pence on November 14, the External Affairs Ministry had said here earlier. The White House said last week that Pence and Modi would discuss the India-US defence cooperation and the bilateral relationship during their meeting in Singapore.